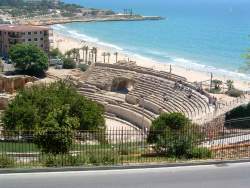 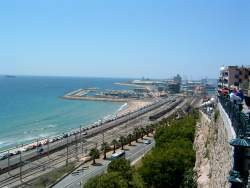 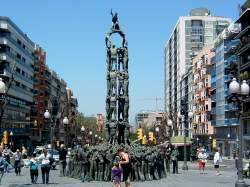 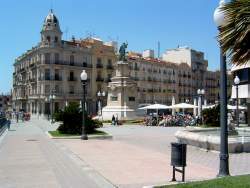 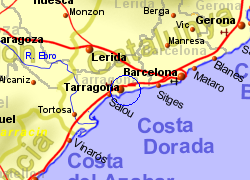 The old port city of Tarragona on the Costa Dorada, 100km south west of Barcelona was important in Roman times, and was the main Roman city in Spain, as evidenced by the relics that can be viewed there. 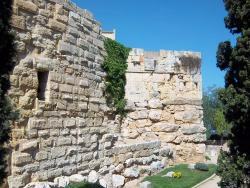 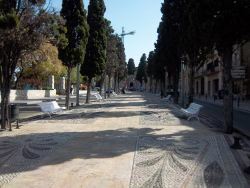 The most impressive of these are the amphitheatre and the aqueduct. 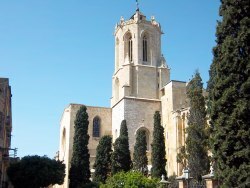 The cathedral, located on a small hill above the city was built in the 12th and 13th centuries and includes Ramanesque and Gothic styles. 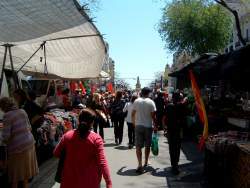 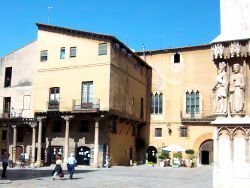 The old city, around the cathedral, has a maze of narrow streets, and the old city wall nearby dates back to 100BC in parts. 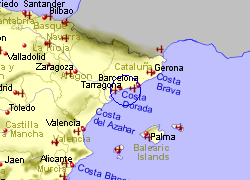 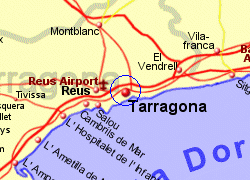 Map of the Tarragona area.